This is the text that describes product features. Let’s see where it appears. 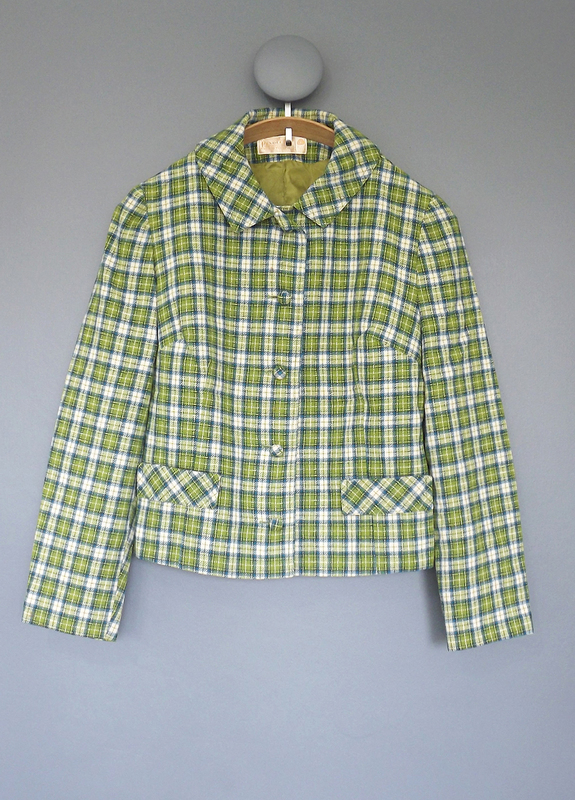 Better known for their blankets and outdoor wear in checks and plaids, in the 1960s, Pendleton Woolen Mills made this beauty. One thing is for sure – it’s definitely no lumberjack shirt. It certainly has class – we think it wouldn’t look out of place on style icon Jackie O. This example is a vintage U.S.A. size 14, a modern Medium, and measures 38″ at the chest. It’s simply stunning. The Cloth: Pendleton have always been masters of the check. This fabric is no exception. However, there’s an extra something that takes this check to the next level. And who can argue with 100% virgin wool? The Cut: Semi-fitted in style, the jacket sits just above the hip. It would work just as well for the office or a night out. There’s a 5 button front, and a really well cut collar. 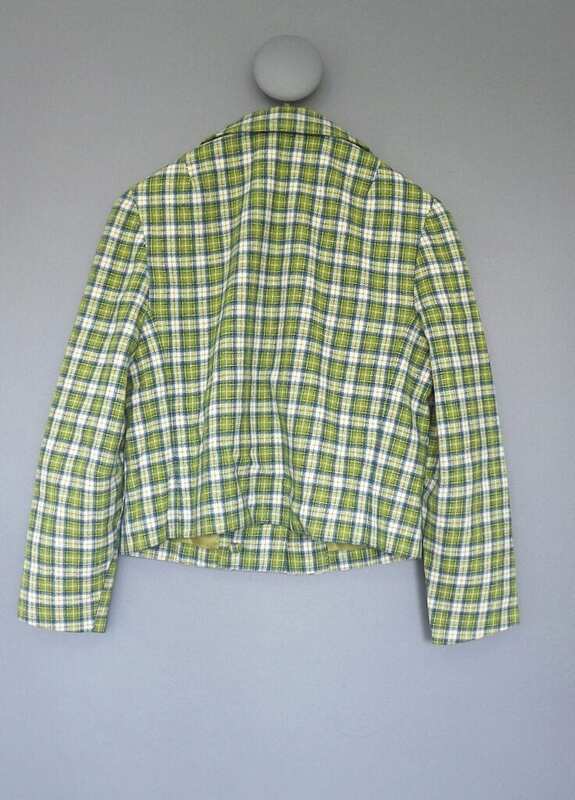 It would be perfect worn Mod style with white Levi’s. The Detailing: Again, that collar is to die for. Add to that the 45 degree contrast pocket flaps. And cute, cloth-covered buttons… What’s more, the spare is still intact. What joy. The Label: Look closer. There’s a clue to the jacket’s vintage on the label. The symbol on the top right is the Woolmark logo. It was designed by Francesco Saroglia (also known as Franco Grignani), and introduced in 1964.